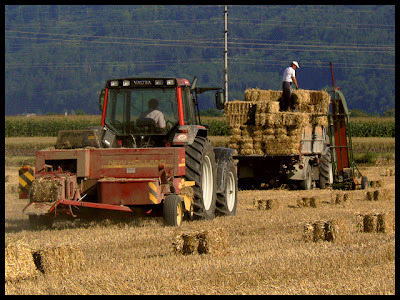 These smaller, rectangular bales were taken off the fields as soon as they were put together. The bales that are stored outside are wrapped in plastic. Usually white or green. Some of them have designs on them. I think they look like monster marshmallows in this photo. 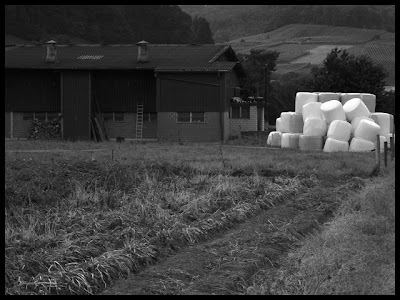 Small rectangular bundles are easier to take off the fields than the big bales "marshmallows". I saw some green ones on the road to Germany. Yesterday I can see some green bales in a field.